Madame Xanadu wrapped up its first storyline last month, chronicling how a woodland sorceress in the time of King Arthur gradually turned into the reserved, somewhat dour seeress of the modern day, bedeviled all along by the cryptic guidance of the Phantom Stranger (a long-standing DC character who must frustrate the heck out of everyone he tries to help although they rarely show it, so Xanadu’s honesty in that regard has been rather refreshing). That taken care of, regular artist Amy Reeder Hadley is taking a break while much-lauded cover artist Michael Wm. Kaluta fills in for a 5-issue story. 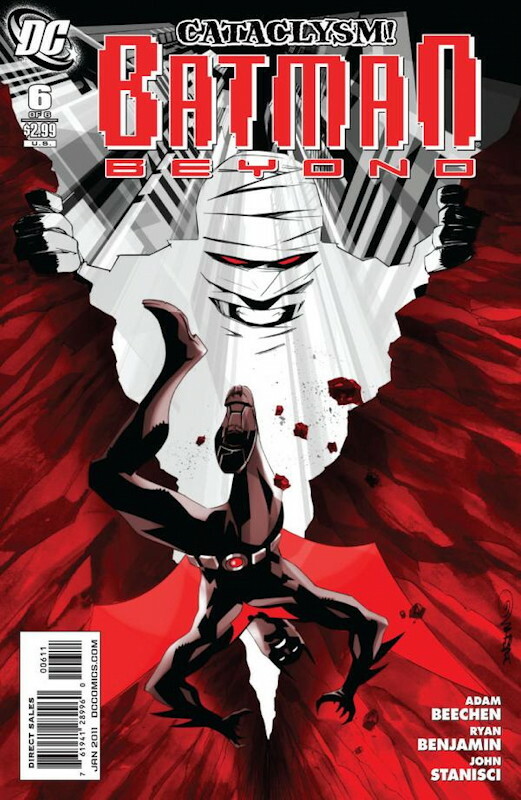 The series has been kind of so-so to date: A fairly consistent pattern of the Stranger trying to help, Xanadu getting frustrated, and things turning out badly, until the last two issues when she strikes back, and things still turn out badly. Now she’s hung up her shingle as a fortune-teller, and one of her first clients is a woman whose father was found immolated in his home, and she suspects foul play. Xanadu determines that it was likely a supernatural murder, and as she starts to look for the killer, she also reminisces about the days she lived in Spain, during the Inquisition, and had taken on a young woman as a lover. The modern story (which I think takes place in the 1920s) is fairly interesting, but the flashback sequence is ho-hum, the sort of thing I’d hoped would have been put behind us after the first ten issues, which have really been one large flashback. Let’s stick to moving things forward! I guess Wagner is going for a Sandman-esque feeling of filling in the backstory as things go along, but without a strong set of stories in the present day, it just isn’t working; it feels like the series is still in its prologue, and nearly a year in it really should have gotten started moving wherever it’s going. Kaluta is a fine artist, although he could use a stronger inker who works in heavier lines, as his light touch with the blacks tends to get washed out once the pages are colored. Oddly, the inking on the cover works better, but the composition is downright odd, with the character’s outsized head and hands compared to her body; not one of his better ones. While I’d say this is a series that’s had trouble finding its groove, I suspect it’s actually working out exactly as writer Matt Wagner has planned. I’ve just found it slow and not very exciting. The odd thing about Guardians of the Galaxy and Nova coming out the same week is that it’s so clear how much better Nova is than Guardians, even though they’re both set in Marvel’s space milieu and they’re both written by Dan Abnett and Andy Lanning. Both books have had rotating artists throughout their run, and Guardians has the clearly-better penciller this month in Brad Walker (whose sense of form and rendering appeals to my preferences), but it’s the writing that sets Nova apart. Both series have had a problem in that they keep getting interrupted by silly crossover events that sometimes don’t make any sense for them to be involved with (Secret Invasion), and otherwise detract from the ongoing story in the title itself (War of Kings, the current event). Nova has done a very good job of weaving its ongoing story into these disruptions, while Guardians has gotten completely sidetracked by them each time. Since Guardians also has a large (and growing) cast of characters to manage, that means little about the book really gets the attention it deserves. Not that there aren’t good bits about Guardians: Star-Lord’s sardonic outlook is consistently amusing, and seeing Warlock take on Emperor Vulcan and the Imperial Guard here is quite a treat, leading in to what looks like a huge slug-fest next month. But overall the book is flailing around a lot and not really going anywhere, which is disappointing. Editorial really needs to just leave it alone for a year or two to find its own path without all these interruptions. Nova, on the other hand, has remained fairly focused in Richard Ryder’s relationship with the Nova-force and its sentient overseer, the Worldmind, who have been embedded in his head and body since before the series began. It all came to a head recently when the Worldmind went around the bend, formed a new Nova Corps, and ejected Richard from it. Richard acquired Quasar’s quantum bands and has his showndown with the Worldmind here, which is quite effective and comes to a satisfying resolution (although not a conclusion to the overall plot thread). Despite the new Corps dealing with the War of Kings event, Richard’s main story has remained largely divorced from it, which has made the series much more enjoyable than Guardians. I look forward to the day that crossover events are no longer big sellers and we can just have good, ongoing stories which drives sales. Sadly, I doubt that day with come anytime soon, and consequently that means a lot of otherwise-promising comics are going to be less than they could be. With Archaia’s financial problems apparently behind them, Mouse Guard has finished up its second series in the last couple of months. Although it’s been a more textured tale than the first one was, I don’t think it’s been a better one. But admittedly the long delays and the fact that it no longer feels novel may have to do with that. Petersen’s artwork is still nifty – the coloring especially is fabulous – and this month we get to see the Guard’s mounts: rabbits! 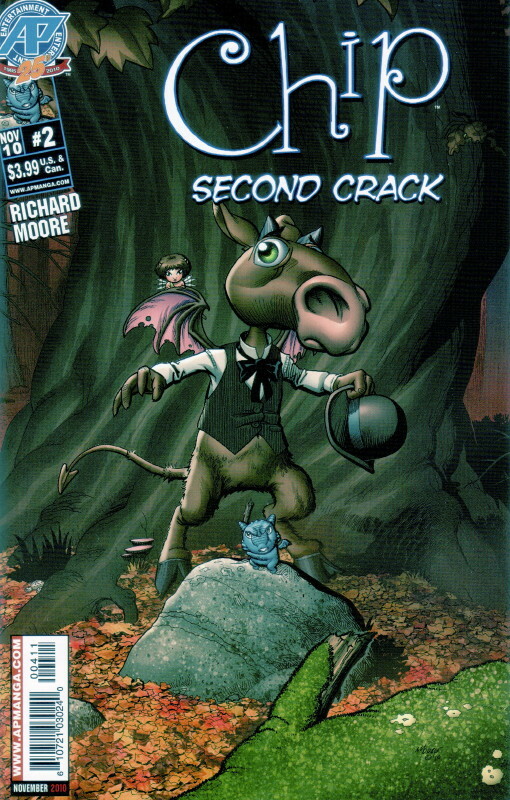 There’s a sense that there is an over-arching story connecting things, involving the Black Axe, the fabled champion of the mice, which has played a central role in the first two series, so I’m curious to see where that’s going to go, if it’s going to be an epic tale or just a series of loosely-connected ones. I think the biggest flaw in the series is that Petersen the writer keeps too much emotional distance between the reader and the characters, though since the characters are mice with not-very-expressive faces, that’s a hard divide to bridge anyway. But there are some moments in this issue which could be quite poignant, but fall short because the mice seem so reserved and unexpressive. But overall this is still quite a good series, and I’m looking forward to the next one. I haven’t been much of a fan of Francis Manapul’s artwork on Legion of Super-Heroes: The faces all look the same, the stylings are too Image-like for my tastes. It’s readable, but pretty blah. This month’s issue features art by Sanford Greene & Nathan Massengill, and they’re a step down from Manapul’s art: Hardly any detail, sketchy renderings, generic faces which somehow also manage to be inconsistent from panel to panel – it’s not good, and not appropriate for the Legion, which ought to have a high-tech look, not a sketchy, rough look. What was the editor (Mike Marts) thinking? I hope they’re just a one-issue fill-in (maybe because the Dreaded Deadline Doom was creeping up and Marts just needed someone to get the job done) and not the new regular art team. Meanwhile, Jim Shooter’s story continues to teeter between moments of embarrassing dialogue and sitcom-like scenarios, and decent action with decent characterization. It feels like if he just tried to be less hip and instead focused on making likable characters then it would be a fun adventure book. You know, like the Legion he wrote 30 and 40 years ago. Sure, the book’s moved on since then, but writing heroes doing heroic things isn’t really a dated idea. 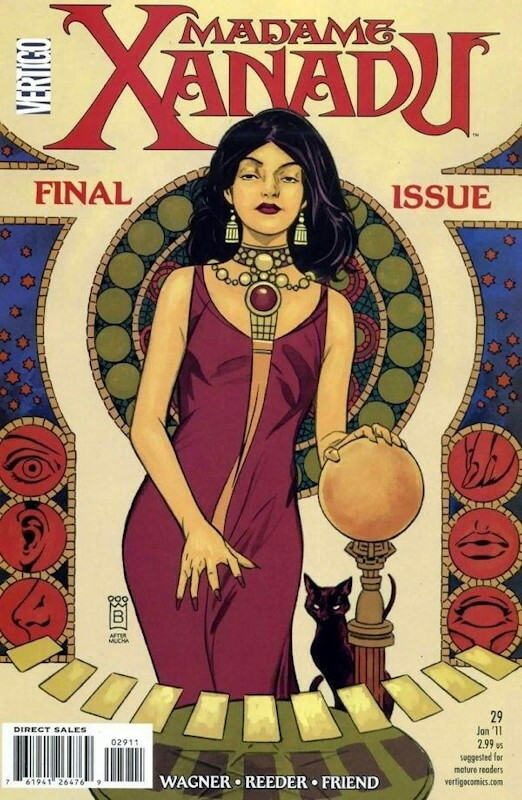 I was unimpressed by the first issue of Madame Xanadu, and the second issue is – surprise! – 100% better! The first issue was pure set-up, instilling in me a fear that we’d be in for several more issues of languid set-up with an uncertain payoff. 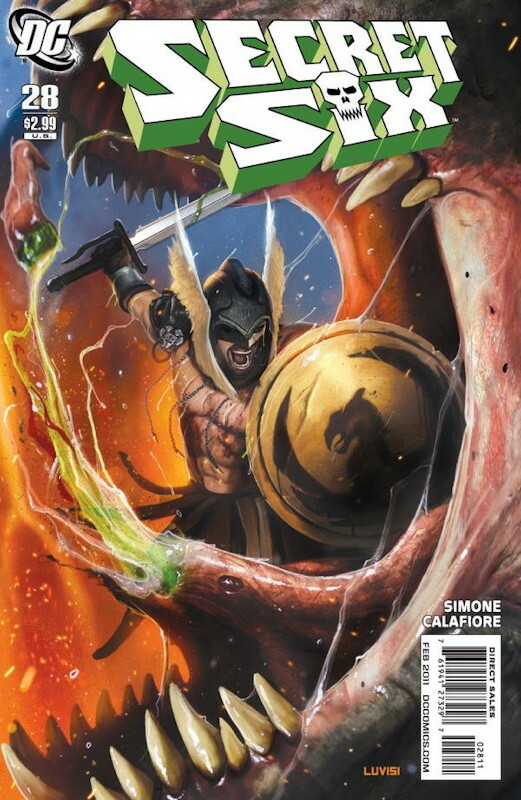 Fortunately, writer Matt Wagner sets things moving in the second issue, with the fall of Camelot, Neume’s betrayal of Merlin, and her own downfall as a result, which makes me considerably more interested in seeing what happens next issue. Why the heck can’t comics writers these days just jump right into the good stuff and fill in the set-up later? Isn’t that part of Storytelling 101? Wagner could have basically left out issue #1, or compressed the first two issues down to one. We’re still just covering the backstory of the character here, so the loss of dramatic impact would have been minimal, since the key point is to keep things moving. Anyway, despite the misfire of a beginning, I’m not curious to see how it will play out. I hope it won’t turn out to be a “Madame Xanadu through the ages” sort of story, but that it will fairly quickly get us up to the present day and move the character forward rather than playing around in the past. But we’ll see.